Joplin Area Golf Calendar … Plan Your Golf Year! 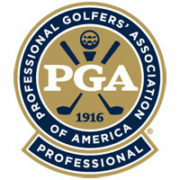 Joplin area PGA Professionals have put together a full schedule of events. Plug in the dates and play some golf! https://www.carthagegolfcourse.com/wp-content/uploads/2016/03/Carthage-Golf-Course-logo-prod.jpg 297 404 Carthage Golf Course https://www.carthagegolfcourse.com/wp-content/uploads/2016/12/Carthage-Golf-Course-logo-300x162.png Carthage Golf Course2019-02-08 17:25:592019-02-08 17:25:59Joplin Area Golf Calendar ... Plan Your Golf Year! Beautiful Super Bowl Weekend! Where is this picture from? Happy cold Friday!